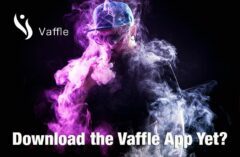 How Much Further will the FDA press Vaping Companies like Juul Labs Inc.? 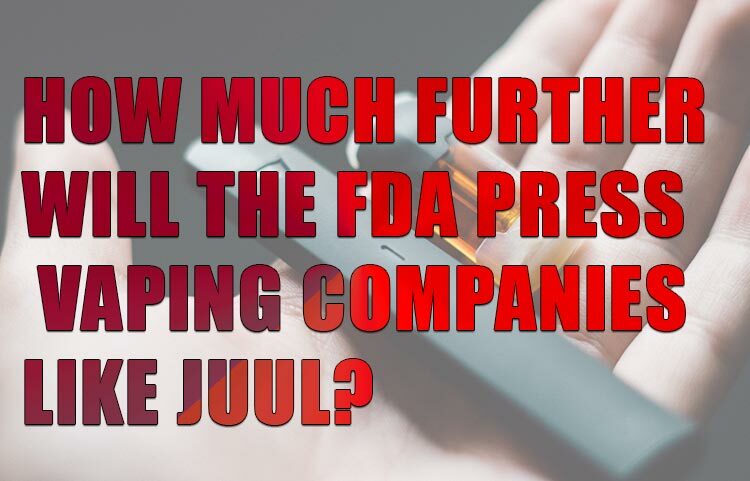 No matter how many curveballs (read: unexpected visits that come across like raids) the FDA throws at leading vape companies like JUUL Labs Inc., our industry has done a lot to fall in line with never-ending regulations. Yet that doesn’t seem to be enough. Like, ever. In the latest shots fired against the growing vaping industry, FDA commissioner Scott Gottlieb now claims that JUUL Labs Inc. simply aren’t doing enough to fight teen vaping in the United States. And in an upcoming series of meetings with leading vape companies, Gottlieb plans to lay down the proverbial law to CEOs, letting them know that if “epidemic” levels of teen vaping don’t quell, the hammer is going to come down on the industry. The problem is, the FDA seems to be asking for speculation that fits its agenda, without realizing there are more variables in place. Late last year, each of the top five vaping companies in the country were called to submit plans that outlined how each planned to put a stop to teen vaping. Some even made immediate (and drastic) measures to fall in line, including the company’s self-imposed removal of fruit-flavored liquid pods, to show its commitment to the cause. JUUL said it would suspend sales of its fruit flavors to retailers in November. At the time, the company outlined a new policy that stores would need to follow if they wanted to again sell these flavors. 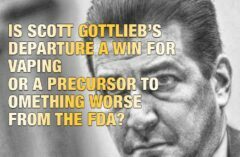 But this was done with an understanding that the FDA would provide further guidance – guidance that still hasn’t arrived. While we understand that fruit flavors might appeal to teenagers, we stand firm that teens looking to vape are no different than those who choose to smoke cigarettes underage. And we all know tobacco isn’t exactly a kid-friendly flavor. We should also remind readers that adults also enjoy fruit-flavored vaping products, and have successfully leveraged devices like JUULs to quit using tobacco products. So is this a real point of contention? Or just the easiest fruit to pick from a low-hanging vine? To its credit, JUUL continues to adhere to whatever changes Gottlieb brings up, acknowledging that teen vaping is still at the forefront of its agenda, and that the company is still “committed to being part of the solution,” according to a statement Thursday. Yet, the more pressure placed on these companies to change teen behavior, in an unrealistic time frame we might add, the less encouraged we are to believe the FDA will see the positives vaping companies have brought to ending our long-standing connection to tobacco use. We expect to hear responses from JUUL Labs Inc. and other leading companies in the next days and weeks, to see what further changes will be made to accommodate the FDA’s agenda. 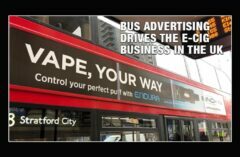 But while we support the end goal, we also expect to continue hearing thinly veiled threats to our industry, in hopes of further expanding public outcry against vaping. Will it ever be enough? Probably not.